LONDON (Dow Jones)--The United Nations said the pursuit of austerity measures by a number of European countries could push the euro zone back into recession in 2011, with the U.S. and Japan facing a smaller risk of a renewed downturn. In its annual report on the World Economic Situation and Prospects published Tuesday, the U.N. said high levels of volatility in the the exchange rates of major currencies could also "jeopardize" the global economic recovery. The U.N. said that with unemployment rates falling very slowly, global economic growth will slow this year, before picking up again in 2012. It forecast that the global economy will grow by 3.1% this year, having expanded by 3.6% in 2010, and will expand by 3.5% in 2012. "The outlook remains uncertain and surrounded by serious downside risks," the U.N. said. "The recovery may suffer further setbacks if some of the downside risks materialize, in which case a double-dip recession is looming for Europe, Japan and the United States." The U.N. said that a further round of fiscal stimulus is needed to ensure that the recovery is sustained, and that it must be better coordinated internationally and more tightly focused on creating jobs. The number of people on benefits increased by 10,631 between November and December and the total stands at 352,707, Social Development Minister Paula Bennett said. Unemployment benefit figures remained high at 67,084 - an increase of 4536. More than half the latest increase was driven by young people completing education and training and looking for work, Ms Bennett said. There were 112,865 people on a domestic purposes benefit at the end of December, 85,105 on an invalid's benefit and 59,988 on a sickness benefit. A further 27,665 were on other benefits. New Zealand houses are among the world's most expensive when incomes are taken into account - and Auckland and Tauranga homes are less affordable than those in New York, says a major survey released today. ACCUSATIONS THAT New Zealand is one of the worst performers in the developed world when it comes to the income gap between rich and poor have been validated by a Sunday Star-Times survey. Conducted by Horizon Research, it shows the burgeoning gap between the haves and have-nots is frothing over into resentment, anger and disillusionment. Those who are struggling are slamming the government for giving tax breaks to the rich, and for the perceived "propping up" of failed finance companies, while there is a growing tranche of middle- to high-income earners who see those on welfare as a drain on the country's resources. According to social researchers, the size of the gap between rich and poor can lead to a welter of other societal problems. 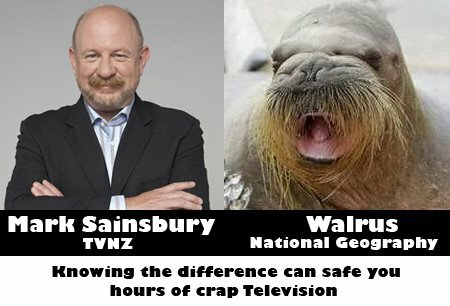 ...so with all these dire realities building, where can NZers turn to on their public broadcaster to understand and decipher the challenges that will impact us all? Close Up of course! And Close Up are leading tonight's show with the 'truth' behind two girls who fought over the same dress. So we aren't the only ones who've seen the resemblance! BTW you have said 'safe' instead of 'save' you hours of crap. Either way I agree!